Luxury Chocolate Fruit Cake with Rum – Best wishes for a Happy Holiday Season! ChristmasEve may be the most enchanted evening of all. So much legend, myth, and mystery, both religious and secular, are part of the night of December 24. And for those who celebrate Christmas, there are more personal and family traditions attached to this night than to any other night of the year. In some households, the main holiday celebration is held on Christmas Eve, with a big dinner and the opening of the gifts before or afterwards. In other homes decorating the tree and then setting out milk and cookies for Santa is the big event. I love to bake and share with family and friends something sweet and special every Christmas. This year I baked an amazing Luxury Chocolate Fruit Cake with Rum, so good that you wish to bake it for every holiday-)) I like a surprise ending to a nice dinner, and this elegant-looking cake, with its wonderful combination of textures and flavors, finishes this holiday meal with a bang. What is your tradition for Christmas Eve? My flower arrangements are getting better every day. This one one of my favorite. I have made a postcards from this beautiful image, if you like I will send you one. Just email me your address. Happy Holidays my dear readers!! In a large saucepan melt the butter. Add all dried fruits, orange zest, orange juice, molasses, rum, brown sugar, lemon marmalade and spices. Slowly bring to the boil. Simmer for 5-7 minutes. Let it cool for about 30 minutes. In a meantime preheat the oven to 300F and lightly oil the cake pan. In the large bowl sift together the flour, cocoa powder, baking soda and baking powder. 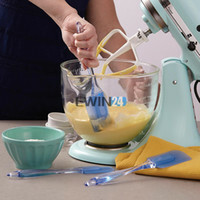 Whisk together eggs and vanilla extract, then add the egg mixture to the sweet fruit mixture. Mix well. Add flour and mix until all ingredients are combined. Pour the batter into prepared cake pan. Bake for about 1 1/2 hours or until wooden toothpick inserted in center comes out clean. Cool the cake completely. Remove from the cake pan and make a few holes with a fork. Pour the rest of the rum and let it sit for 15 minutes. Wrap the cake and place it in a cool place until ready to serve. To serve: generously dust the confectioners sugar top of the cake and place chocolate decorations. Always a feast for the eyes..Happy Holidays to you! The cake looks so delicious, and what a lovely floral arrangement!! Yes, please send me a postcard to zzsaawariya8@gmail.com 🙂 Thanks for the wonderful post! Happy holidays to you! Cheerz! A fantastic cake! So festive. I love that flower arrangement. What a wonderful cake, Yelena. Your creations just keep getting more and more beautiful. Happy holidays. What a festive and delicious cake! I too love flower arrangement. I used 8,5 inch x 3,4 inch cake pan. But really you can use the pan you have at home^ it can be a little smaller or bigger. Have a good bake! And happy holidays!